The apartment includes a kitchenette with an oven and a microwave, as well as a coffee machine. A flat-screen TV is available. The apartment offers a children's playground. 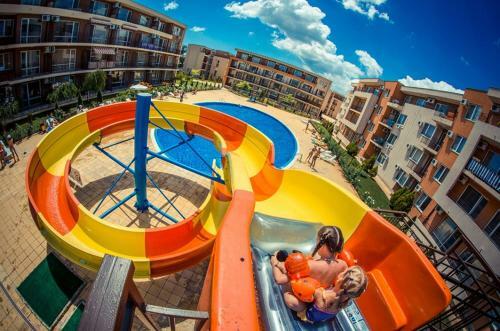 A water park is also available for guests at the property. Cacao Beach is 5 km from Bratanov Studio in Holiday Fort, while Kuban is 3.3 km away. 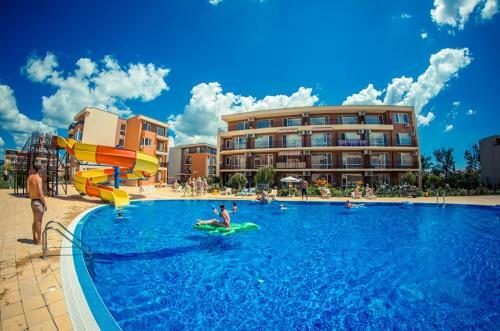 The nearest airport is Burgas Airport, 28 km from the accommodation.